Let your car make money for you! Listing your car is so simple on Fluid. Here are three solid reasons why you should! Vehicle lenders on Fluid make up to $1000 a month on their vehicles! And we know what you’re thinking: what about insurance?? Don’t sweat it. Fluid vehicle insurance includes physical damage protection, up to a limit of $50,000. Fluid also has third party liability coverage up to $300,000. Who are the types of fine citizens that will be driving your rig? The best kind. Small business owners, neighbors who love to run errands, and people who don’t love to move couches, but have to anyway. Not to mention ski trips, camping and the occasional IKEA nightmare. And not to worry, Fluid checks every user’s driving record and license before a reservation to ensure that your vehicle is in good hands. Have an extra truck laying around collecting dust? Help the environment (and economy) by letting people rent your car! For any city as a whole, car-sharing will actually mean less driving and lower carbon emissions. Plus, you can connect with your community and make better use of your resources. 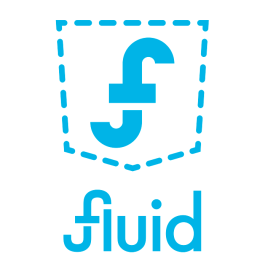 Fluid’s good for the environment, good for your wallet, and great for helping your community. List your car today! If you need assistance listing your car, contact us at [email protected]!